Melioidosis is the stuff of tragedy. The bacterium that causes it can affect different organs in different people, throwing off doctors and leading to misdiagnosis and death. Under overcast skies shedding a cold, persistent drizzle, a group of researchers clad in long raincoats stoop over an empty paddy field. Some of them dig holes in a grid-like pattern across the field, while others collect clumps of soil out of these holes. The soil is ordinary looking: brown, clayey, rich with organic matter. But the researchers suspect that a deadly bacterium called Burkholderia pseudomallei lurks a few centimetres below its surface. Here, it can survive for decades, waiting for a human to come along with a cut in her bare feet or for a strong gust of wind to blow the soil into her lungs. When this happens, the bacterium will enter the human’s bloodstream and travel to any of several organs – the brain, liver, lungs or bones – and trigger a possibly life-threatening disease called melioidosis. B. pseudomallei is the stuff of thrillers. Because the bug is dangerous and can be easily spread in a deliberate attack, it is a recognised bioterrorism agent today. The British author Arthur Conan Doyle seems to have foreseen this possibility soon after the pathogen was discovered in Rangoon (now Yangon) in 1912. Researchers have speculated that the bioterrorism agent in Doyle’s 1913 story, The Dying Detective, was B. psuedomallei. But the bacterium is also the stuff of tragedy. Its ability to affect different organs in different patients allows it to masquerade as a dozen different diseases, a veritable Mystique among maladies (like the X-Men superhero who can transform into any other person). This throws off doctors, leading to misdiagnosis that often means death. A massive part of the misdiagnosed global burden of melioidosis lies in India. Even though we have reported a few hundred cases of the disease in the last quarter century, some researchers estimate that the actual number is at least a thousand times that in a single year alone. A 2016 paper in the journal Nature Microbiology projected that between 22,000 and 1.24 lakh Indians fell sick with melioidosis in 2015, while 60% succumbed to it. These are controversial numbers, given the large range, but researchers that The Wire spoke to agree that the low end of the projection, 22,000, is plausible. This is why the researchers in the paddy field, a team led by microbiologist Chiranjay Mukhopadhyay from the Kasturba Medical College in Manipal and Tushar Shaw, a PhD scholar there, are looking for B. pseudomallei in the soil. They strongly suspect it lurks here because Nagarathna, a 47-year-old paddy-farmer who owns the field, fell sick with melioidosis last year. Working in paddy fields is a major risk factor for the disease, because that’s where the pathogen is most often found in other endemic regions of the world. But the researchers have never isolated the bacterium from Indian soil before, despite multiple attempts. So, it will be an especially big break for them to find it this time. Nagarathna has completely recovered from her illness today, because she was lucky enough to have been treated by Mukhopadhyay’s team, one of the few groups across India that has expertise with melioidosis. When she developed septicemia, a life-threatening condition in which the bacteria invaded her bloodstream, she was rushed in an ambulance to Kasturba Medical College, 80 km from her home in Tirthahalli. The treatment gave her a new lease of life, but many others in India aren’t as fortunate. B. pseudomallei was discovered in 1912 by the British microbiologist Alfred Whitmore and his Indian assistant C.S. Krishnaswami. Once they described the disease, which they saw mostly in emaciated opium addicts, other reports of the illness began emerging from Southeast Asian countries, including Malaysia, Vietnam and Thailand. But India remained a dark zone, despite sharing climate, soil types and widespread paddy cultivation with these countries. The only cases from here were reported by European doctors treating patients returning from India. Fareed Zaer, an alert Indian microbiologist changed all this in 1991, by isolating the bug in an Indian patient at the Lokmanya Tilak Municipal General Hospital, Mumbai. The victim, a 10-year-old boy, had fallen into a pool of water and developed a high fever and swollen joints. For days, doctors at the hospital threw antibiotics at him, but he turned septicemic. Kalyani Raghavan, the pediatrician who treated the child and now works at Connecticut Children’s Medical Center, Hartford, recalls how baffling the symptoms were. “We knew this was a very unusual organism we were dealing with, but we were kind of scratching our heads. The diagnosis on a clinical basis was literally impossible,” she told The Wire over the phone from Avon, Connecticut. In the meantime, another group of researchers were training their lens on the disease as well. In 1994, when a plague broke out in Maharashtra and Gujarat, researchers from Pune reported in a letter to The Lancet that they had isolated B. pseudomallei from 12 patients with inflamed lymph nodes, a symptom that also appears with the bubonic plague. It was a false alarm. Several other groups failed to find the bacterium when they retested the Pune group’s samples. Few eventually agreed on what caused the 1994 plague, or whether it was plague at all, but the attention it drew to melioidosis got T. Jacob John, a microbiologist from the Christian Medical College (CMC) in Vellore thinking. 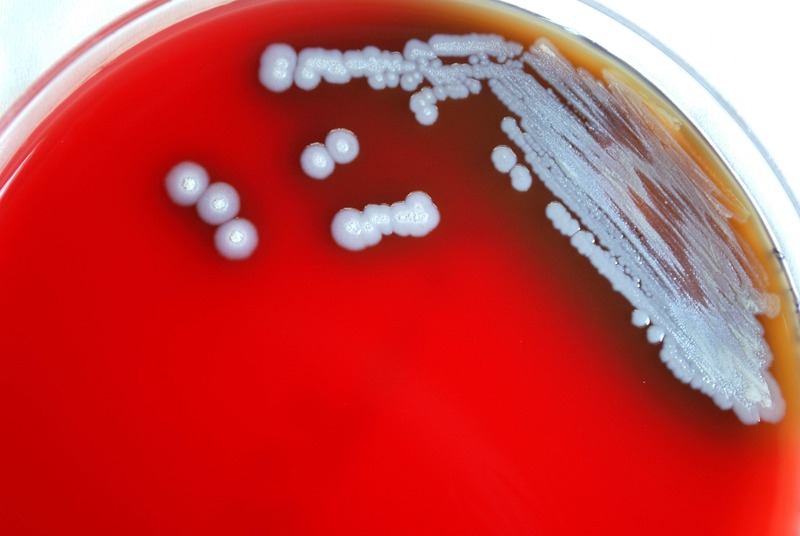 It takes a savvy microbiologist to spot B. pseudomallei in a petridish. The bacterium grows best in a special medium: a mix of agar, an antibiotic called gentamicin and a dye called crystal violet. The gentamicin kills off other bacteria and allows the gentamicin-resistant B.pseudomallei to replicate freely. When colonies establish themselves, they take on a characteristically dry and wrinkled appearance. Microbiologists who aren’t expecting to see this often assume it is a contaminant from the lab, which can also produce such a colony, and discard the sample. One of the bacterial genera that B. pseudomallei is often mistaken for is Pseudomonas, to which the pneumonia-causing Pseudomonas aeruginosa, belongs. Both B. pseudomallei and Pseudomonas bacteria show common biochemical properties, throwing naïve microbiologists off. Only a scientist who presses on with further investigations can tell them apart. The focus on melioidosis during the plague debate made John realize that many of his microbiologist colleagues were discarding organisms that they thought were Pseudomonas bacteria without performing further tests that could have confirmed the presence of B. pseudomallei. “These organisms were not further speciated (differentiated further into species). So I decided to speciate the next few isolates from any body fluid,” he said. So John began running further tests in samples from patients who came to CMC Vellore. This is how he found the second Indian melioidosis case: in a patient with a brain abscess. Other confirmations soon followed from his laboratory – patients with tuberculosis-like symptoms, with liver and spleen abscesses and with septic arthritis. Indian scientists were seeing for themselves what a shape-shifter melioidosis was. “There is no organ in the body that cannot be affected by melioidosis,” according to Mukhopadhyay. When he joined Kasturba Medical College in 2005, Mukhopadhyay began seeing patient samples that he couldn’t quite diagnose. During his earlier stint at Sanjay Gandhi Post Graduate Institute of Medical Education and Research in Lucknow, he had only read about melioidosis in medical textbooks but never seen the bacterium. Once he learnt what the deceptive pathogen looked like, it started turning up regularly. By 2007, he had confirmed 25 cases at the hospital. “That’s when I understood that we had been missing a lot of cases,” he said. Around the same time, Mukhopadhyay’s colleague at Kasturba Medical College, microbiologist Kalwaje Eshwara Vandana, embarked on a search for antibodies to B. pseudomallei among people in the Manipal region. The idea was to understand how many healthy people were being exposed to the pathogen. A previous survey by CMC Vellore researchers had shown such antibodies in around 7% of paddy farmers from a village close to Vellore. Since the new survey would include non-farmers, who were less at risk of melioidosis because of their infrequent contact with soil, Kalwaje and team weren’t expecting an exposure rate of more than 7%. But to their great surprise, they found 29% of the 711 people tested were seropositive, i.e. had antibodies to B. pseudomallei. Strikingly, non-farmers were as likely as farmers to have run into the bacterium. But there is much uncertainty about what being seropositive means. Such studies pick up antibodies to other related bacteria as well, falsely inflating numbers. This is why people from central Thailand show high seropositivity despite there being low rates of melioidosis in the region. It’s because they are exposed to a sister bacterium called Burkholderia thailandensis, which also lives in the soil but doesn’t infect humans. There is reason to believe that Manipal is different from central Thailand, however. Mukhopadhyay, who was also a part of Kalwaje’s seroprevalence study, points out that the regions of high seropositivity in Manipal often report melioidosis – unlike central Thailand. This means the bug is around in the community. Direk Limmathurotsakul, a microbiologist at the Mahidol-Oxford Tropical Medicine and Research Unit (MORU) in Bangkok and lead author of the Nature Microbiology paper that estimated the Indian burden of melioidosis, agrees. According to him, the number could be an overestimate. “Nonetheless, 29% strongly suggests that the doctors and microbiological laboratories in those areas should be properly trained to diagnose and treat human melioidosis cases,” he wrote in an email. Such training isn’t happening across in India yet, and awareness about melioidosis continues to be dismal. “Most clinicians don’t know about the disease and misdiagnose it,” Mukhopadhyay said. In July 2016, Nagarathna, the paddy farmer in Thirtahalli, began the yearly process of sowing her summer crop. She criss-crossed all over her field planting saplings. A month later, she fell seriously ill, with a high fever and abdominal pain. When her husband took her to the local hospital, the doctors told her they couldn’t do anything and that she would have to travel to Manipal. So the couple hired a vehicle that drove them for two hours, often through unlit and potholed roads, to the Kasturba Medical College. “I don’t remember anything from the journey. I wasn’t awake,” Nagarathna says. Her diabetes had made her especially vulnerable to melioidosis when she was cultivating her field, and she was septicemic when she reached the hospital. Mukhopadhyay and team knew what they were looking at and immediately treated her with ceftazidime, one of the few antibiotics that work against B. pseudomallei. After a month in the hospital, Nagarathna returned to her village. She says she and her family now wear boots while working in the field to protect their feet from the bacterium. All her neighbors do so as well. In addition to diabetes, several other afflictions like lung disease and renal disease, or immunosuppressive conditions like HIV, predispose people to a fatal form of melioidosis. Often a person carrying the bacterium stays asymptomatic for years – until an illness triggers a full-blown infection. This happened to American soldiers returning from the Vietnam War in the mid-20th century. One veteran remained healthy for six years after his homecoming – until he caught the flu, opening the doors to B. pseudomallei. This phenomenon earned melioidosis the nickname ‘the Vietnamese time bomb’. But healthy people also fall sick, sometimes with no obvious history of exposure. Over the years, Mukhopadhyay’s team has encountered cases with none of the usual risk factors, including businessmen, school teachers, students and housewives. According to Balaji Veeraraghavan, the head of microbiology at CMC Vellore, the construction boom in India had a part to play in this. “B. pseudomallei is a soil organism, and construction and excavation dig up the soil, exposing people to it, “he explained. As a result, people from all walks of life come in contact with the bacterium. Mukhopadhyay recalls the case of a school’s headmaster, from the Chitradurga district of Karnataka, who had the habit of working barefoot in his garden each morning. When he fell ill, the doctors who treated him suspected tuberculosis and began an antibiotic regimen. Not treating a patient with ceftazidime the very first time can have dangerous consequences. This is because other antibiotics can temporarily suppress the infection in the patient, causing diagnostic tests for melioidosis to turn up negative. When microbiologists who recognise the pathogen investigate such patients, they can easily miss the disease. As a result, the patient can harbour the bacterium for years, suffering multiple relapses. This happened with the headmaster, who endured anti-tuberculosis drugs for years even as his condition worsened. “He kept saying, ‘I am not a tuberculosis patient, I have already been taking tuberculosis drugs.’ But people didn’t listen to him,” Mukhopadhyay said. By the time he approached Kasturba Medical College, he was too far gone and succumbed. A number of patients on anti-tuberculosis regimens in India probably have melioidosis, researchers believe. The symptoms can be deceptively similar and doctors often do not run tests to confirm. “We blindly treat every case with chest shadow, fever and multiple abscesses in the body as tuberculosis,” Mukhopadhyay says. Such high rates of misdiagnosis mean that the estimates of the 2016 Nature Microbiology paper aren’t that far-fetched. To arrive at the estimates, MORU’s Limmathurotsakul and his collaborators collected country-wise data on environmental and demographic factors strongly associated with melioidosis – rainfall and temperature, extent of paddy cultivation, percentage of population with diabetes, presence of certain soil types (anthrosol, a type of soil modified by human activity, and acrisol, a clay rich soil, harbor the bacterium), and number of human and animal reports of the illness in a region. They then combined these factors in a model to arrive at a region-wise and global melioidosis burden. The model predicted that out of a range of 68,000-168,000 cases across the world in 2015, between 22,000 and 124,000 occurred in India. India left countries known to be hotspots of melioidosis, such as Thailand, far behind in this estimate. Thailand reports over 2,500 melioidosis cases a year, but this is thought to be a small percentage of the actual number. Reactions to the Indian estimate have been mixed. Some say the number isn’t unlikely. “I don’t see why not,” says Gagandeep Kang, executive director of Faridabad’s Translational Health Science and Technology Institute. She was part of the team that carried out the 1994 Indian seroprevalence study in CMC Vellore – the first such study in India. “We have so little diagnostics in the country that you are going to have a bunch of presentations (symptoms) all over the place that never get investigated and are quite likely to be B. pseudomallei infections.” In the skeptic camp is Balaji Veeraraghavan of CMC Vellore, who concedes that melioidosis is a significant illness in India but says the Nature Microbiology numbers are likely on the higher side. The disease becomes a real problem during natural disasters like floods and tsunamis – when the soil gets displaced but at other times, its occurrence is probably lower, according to him. David Dance, a microbiologist at Laos’s Lao-Oxford-Mahosot Hospital-Wellcome Trust Research Unit and a coauthor of the Nature paper, admits that the estimate possesses the limitations of any statistical model. “As George Box said, ‘All models are wrong, but some are useful’,” he wrote in an email. But to him the only way to refine the model would be to raise awareness and collect more hard data. Increased awareness is how today’s melioidosis hotspots detected their first cases. Till 1955, Thailand was a dark zone like India, with the only reports coming from patients who had travelled out of the country and been treated elsewhere. Even after the first indigenously identified case in 1955, detection barely picked up; only three more reports came over the next decade. Then, in the 1970s, the realisation that the disease was frequently fatal spurred the Infectious Disease Association of Thailand, a society of doctors, into action. The group kicked off several initiatives to boost diagnosis rates, without any formal support from the government, says Limmathurotsakul. The effect was remarkable, with close to 800 cases surfacing by 1984. Today, melioidosis is a well-known illness in northeast Thailand – although the problem of misdiagnosis is still prevalent. The country’s government has still not issued clear guidelines on detecting and treating the disease, something Limmathurotsakul and his colleagues are pushing hard for. “It is still a long way to go,” he said. In the last two decades, Laos too has climbed up the same learning curve that Thailand did in the 1980s. Even though Laos is just across the river Mekong from northern Thailand, the country hadn’t reported a single case till the end of the 20th century. In 1999, Bangkok’s Mahidol Oxford Tropical Medical Research Unit began a collaboration with Laos’s Mahosot Hospital, under which researchers began to look for melioidosis. Since then, this landlocked neighbor of Thailand has diagnosed 1,162 cases, with 158 in this year alone, says Dance, who is part of the Laos collaboration. Stories like this give Dance more confidence in the predictions of his statistical model. “If that level of under-diagnosis were replicated all over the Indian subcontinent, it is not difficult to imagine that the numbers could be correct,” he says. The experiences of Sri Lanka and Bangladesh seem to be bearing this out as well. 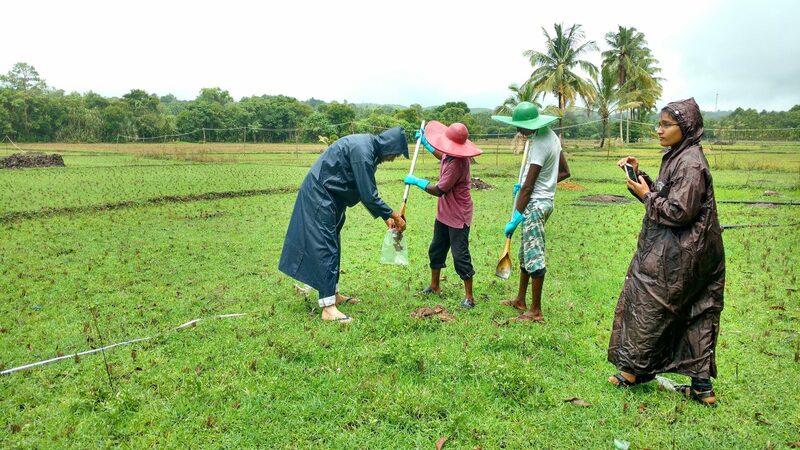 Sri Lanka reported only three cases between 1927 and 2007 but has ramped up detection to over 200 patients in the last decade, according to Enoka Corea, a microbiologist who works on melioidosis at the University of Colombo. One way for researchers to identify melioidosis hotpots is to look for the bacterium in the environment. Once it is found in soil or water, resources in these regions can be directed to training clinicians to spot the disease. Then again, Indian researchers have had a lot of trouble culturing the bacterium from the soil. Mukhopadhyay began sampling soil for B. pseudomallei near Manipal in 2011 after attending a workshop at the fifth World Melioidosis Conference in Bangkok four years earlier. At the conference, Limmathurotsakul and Dance had showed attendees how to collect soil and culture it. The process seemed extremely straightforward, Mukhopadhyay recalls. Within a day of collecting the samples and processing them, the bacterium would grow, because there was so much of it in the ground. One study showed that the northeastern Thai province of Ubong Ratchathani had up to 10,000 B. pseudomallei cells per gram of earth. While data on the dose required to kill a human is limited, mouse models show that inhaling as few as three cells can kill these animals. Excited, Mukhopadhyay came back to India, set up a team, and tried to replicate the methods he learnt in Thailand. “We were definite that the bacteria were in the soil. It had to be,” he remembers. To their great surprise, they were unable to grow the bug. Each time they took these results back to the Thai researchers, they were told to look harder and to stick to the recommended methods more closely. Even though the soil cultures were fruitless, other tantalizing signs that the bacterium was in the soil kept them going. For example, when they used a technique called polymerase chain reaction (PCR) to amplify bits of DNA in the soil, they found the genetic signature of B. pseudomallei. But PCR can also throw up false positives, making soil culture a critical step in understanding melioidosis transmission. Further east, Kang and later Balaji Veeraraghavan also tried to grow B. pseudomallei from soil in Vellore – and failed. Balaji believes that this is because culturing techniques for Burkholderia pseudomallei are still very primitive. Another problem, he says, is that only clinical microbiologists who specialise in detecting pathogens in humans are taking a crack at soil cultures in India. “If clinicians go meddle with the soil, I don’t know if it will work out.” Environmental microbiologists, who specialize in looking for pathogens in the soil and water, are a better bet, according to him. In 2014, a group from India’s Defense Research and Development Establishment, headquartered in Gwalior and which works on bioterrorism agents, did succeed in isolating B. pseudomallei from paddy fields in the Paringepattai region of Tamil Nadu. Duraipandian Thavaselvam, the lead researcher from this group, says that to isolate the bacterium from soil, one needs to come up with methods to select for B. pseudomallei over other competing microbes that exist along with it. One reason why a soil culture is tough is because the other microbes overwhelm B. pseudomallei and prevent it from growing. Treating the bug with gentamicin or colistin, both of which it is resistant to, may not work with soil the way it does with human samples because the soil bacteria are often resistant to them as well. Another hypothesised roadblock is that Indian strains of the bacterium enter a low-metabolism state in response to environmental stressors like temperature. In this state, known as a viable but non-culturable state (VNC), bacteria are alive but do not replicate. Several microbes, such as Vibrio cholerae (which causes cholera) and Staphylococcus aureus (strep throat) are known to enter this state of dormancy. The problem is that such VNC pathogens are difficult to culture. To get around these problems, Tushar Shaw, a PhD scholar in Mukhopadhyay’s team, is experimenting with growth media, or substances in which to grow the bacterium. The VNC state may be too hard to tackle because of how poorly it is understood. “All we are trying to do is to concentrate the bacterium more and more, so that isolating becomes easier,” says Shaw. If he succeeds, the team will know for sure that Nagarathna contracted her deadly illness from her paddy field. By collecting more such samples, they may also be able to identify other patches of ground that are packed with the treacherous bacterium. And genetic sequencing could then help them identify the molecular basis of why some strains of B. pseudomallei are deadlier than others. Such data, according to Mukhopadhyay, is going to be critical for public policy makers to act more decisively about melioidosis. One of the reasons the illness is not notifiable today, he says, is because it cannot be transmitted from person to person and cannot cause outbreaks – especially the way cholera and H1N1 can. The other is that the widespread prevalence of the disease is only suspected but not confirmed. With more data, one can hope for more government support for research into and detection of melioidosis. And with more support, more cases can be identified. It’s a virtuous cycle that Mukhopadhyay is hoping to kick off.